The purchasing and lifestyle habits of millennials shape the economy and affect everything from the energy market to how TV is made. 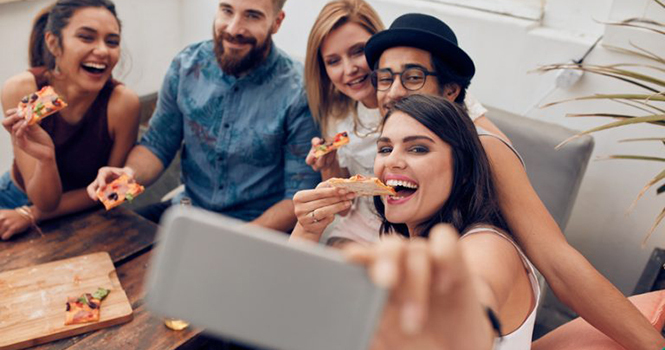 Real estate professionals need to understand the effect millennials have on the real estate market, so here are four things to know about millennial homebuyers. The millennial generation favors renting over buying property for a number of reasons. They wait to commit to homes; desire to live in trendier, more expensive areas; or want the freedom to pick up and go with relative ease. A survey found that 10 percent of millennials don’t feel ready to manage a property and prefer having a landlord to take care of maintenance issues. Effects on the Real Estate Industry: Millennials may start investing in home equity as they get older, but rising debt and delayed life events make it more difficult for them to settle down and invest in property. As a result, millennials look to lower barriers to entry into real estate, including buying rental units and condos they can rent out if they move away. Millennials are tech-savvy and more likely to look for housing online than through an agent—50 percent of millennials found homes using the internet compared with 31 percent who found homes using an agent. Almost all millennials still use a real estate agent or broker to purchase a home, but they prioritize those with websites that include photos, interactive maps, and detailed home information. Effects on the Real Estate Industry: Real estate professionals need to have websites that include many high-quality photos—as exemplified by successful home-searching sites such as Hubzu and Trulia. Real estate companies with weak online presences are less likely to be successful with the millennial generation. It’s also valuable to have a strong presence on social media that shows you’re engaged and able to speak their language. Many millennials like the ideals of minimalist living—fewer possessions and smaller spaces—because it provides them with the flexibility and financial stability they crave. Similarly, they also value energy-efficient appliances to help keep their bills and carbon footprints low. Millennials are comfortable in small spaces because they see their living quarters as a home base, not necessarily where they want to spend all their time. Effects on the Real Estate Industry: Real estate agents must be familiar with smaller floor plans and understand the benefits of limited living spaces. The more multi-functional and environmentally friendly a space is, the more likely it is to appeal to millennials. The industry will need to keep increasing its green home and energy-efficient property offerings. Working with real estate agents is a new venture for many millennials, 23 percent of whom are unaware that they can negotiate a real estate agent’s commission and fees. Nearly half of millennials find their real estate agent through a friend, neighbor, or relative, and 72 percent of millennial sellers only contact one agent. Effects on the Real Estate Industry: Millennials cite honesty, trustworthiness, and reputation as the three most important qualities in a professional real estate agent. As 68 percent of millennials who use a real estate agent interview only one agent, they are often willing to stick with an agent they trust, even if there are cheaper options out there. That means agents must work hard to ensure solid referrals from clients. Millennials have just begun to shape the housing market. As their incomes increase with age and they start wanting to settle down, they’ll continue to effect change. If the real estate industry can understand their needs and innovate where necessary, it may be able to convince millennials to give up renting and move into the comfort of their own home. This post was originally published on RISMedia’s blog, Housecall. Visit the blog daily for housing and real estate tips and trends.